Premier Personal Care provides home personal care for injured workers during their recovery. If you are recovering from a debilitating illness or injury, let our team help you maintain your freedom and independence in the comfort of your own home. And our team at Premier Personal Care, Inc. has the experience and is here to assist during your rehabilitation phase. We know that you may need help with a variety of everyday activities while you recover, and we are dedicated to tailor our services to your individual needs. 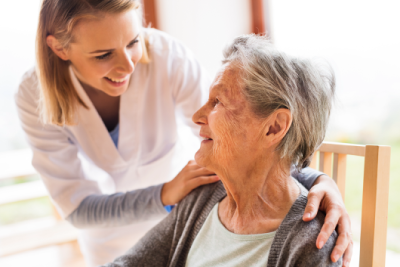 Some of the many tasks we provide include light housekeeping duties, pet care, mobility assistance, personal hygiene assistance, meal preparation and assistance with eating, medication reminders, and more. We can provide assistance up to 24 hours a day, every day of the week, including holidays. Get in touch with us at Premier Personal Care, Inc. to learn more about how we can be of service to you.